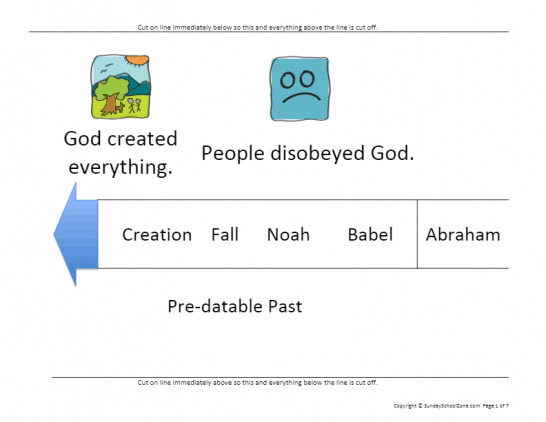 Below are listed the various items we have related to our free printable Bible timeline. 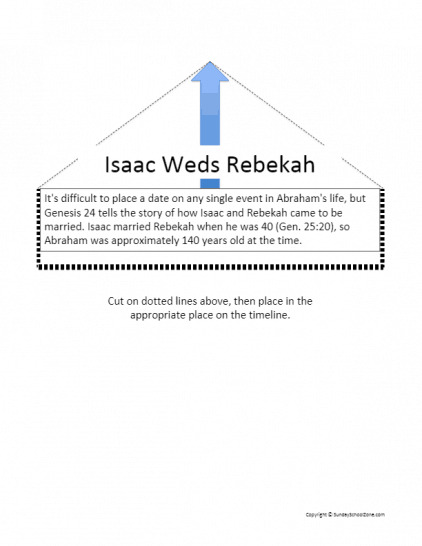 Included are a growing number of timeline markers (for identifying specific biblical events), a single-page handout, and the 66-inch printable Bible timeline itself. 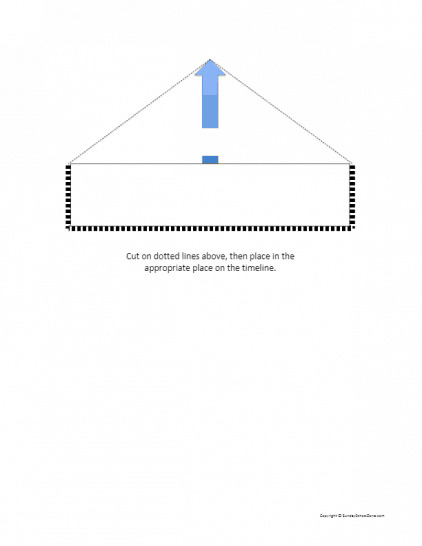 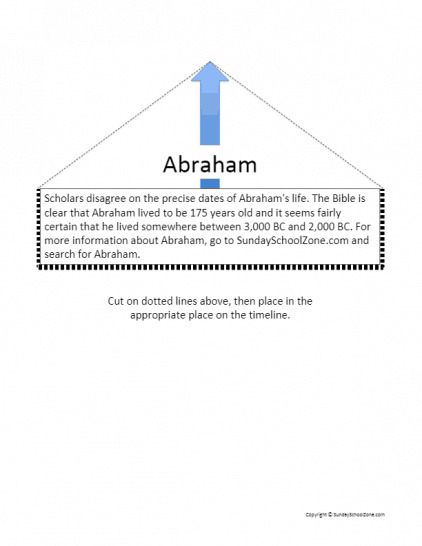 This blank Bible Timeline Marker can be cut out, filled in for any desired event, and then placed on the Bible timeline in the appropriate place so learners can quickly see approximately where in history (on the timeline) the event occurred. 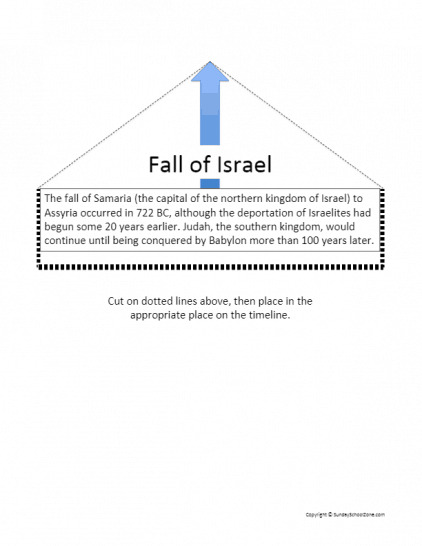 This Fall of Israel Bible Timeline Marker can be cut out and then placed on the Bible timeline in the appropriate place so learners can quickly see approximately where in history (on the timeline) the fall of Israel to Assyria occurred. 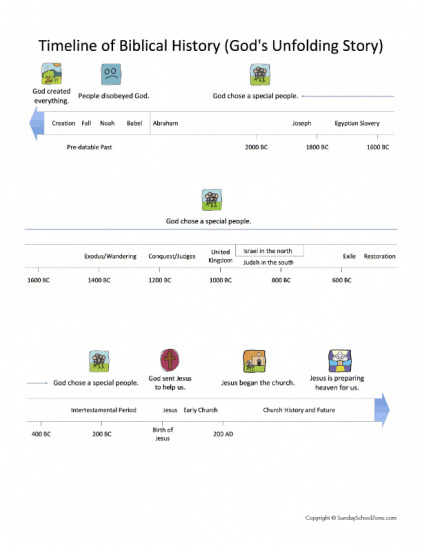 This is a single-page, printable handout containing Sunday School Zone’s Bible Timeline reduced in size and placed on a single sheet so an individual learner can examine the timeline and keep it for personal study.